First Card as part of the Creative Knockouts Design Team! I am super excited to announce that I have been chosen to be a part of the AWESOME Creative Knockouts Design Team. 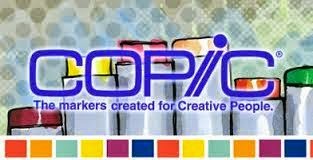 This week's sponsor is Stamping Chef who has amazing digital images that are fun and quirky. I had a blast coloring this image called "Fairy Nuff" during my recent scrapbook retreat at the Scrappin Cabins in the beautiful North Georgia Mountains. 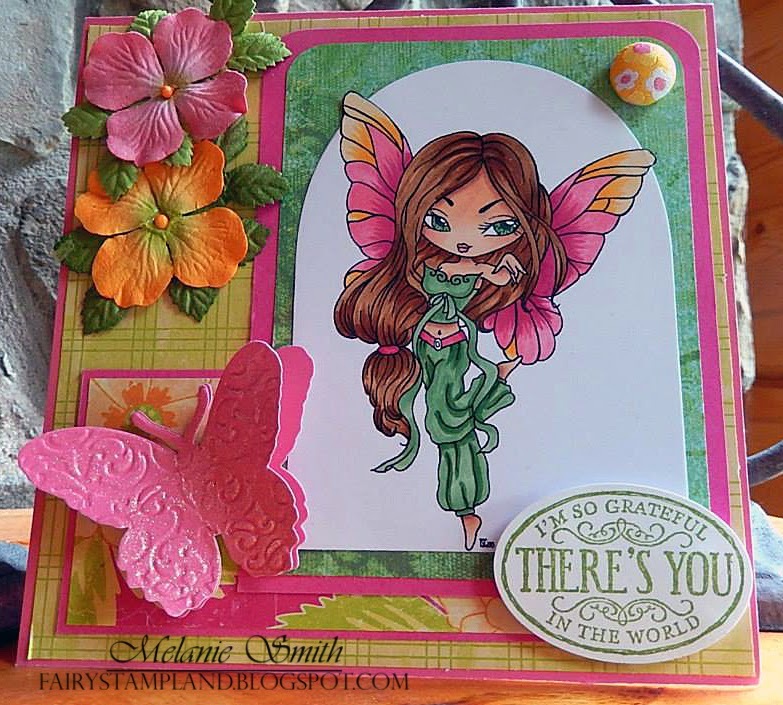 The challenge over at the Creative Knockouts blog this week is "Embossing". So I embossed the beautiful butterfly here then added white shimmer paint over it using a dauber to create a pretty effect. 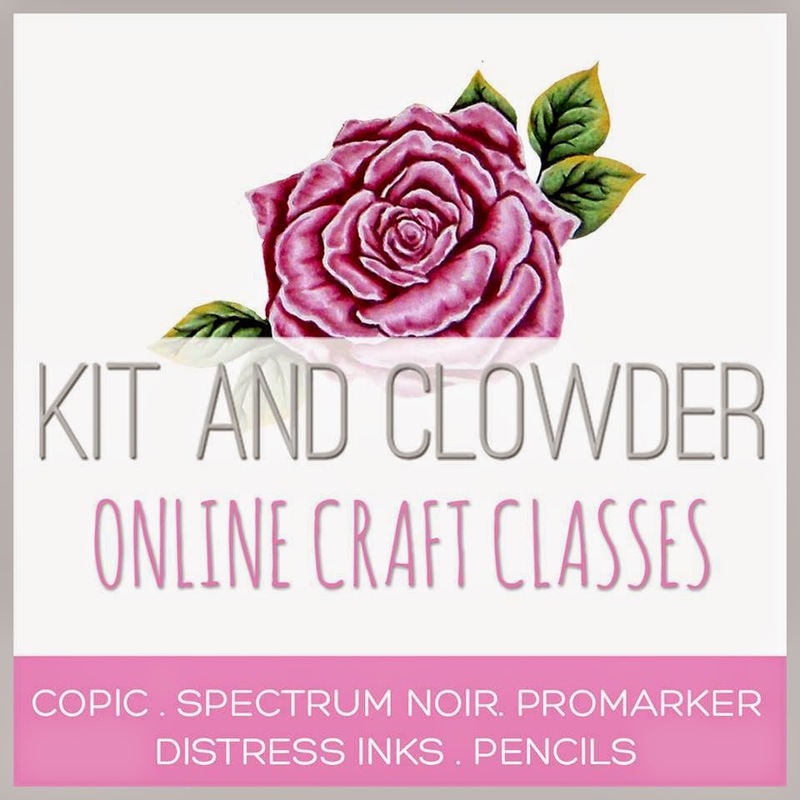 When I was preparing for the retreat I decided to go through my scraps that had been piling up in my craft room and put together "card kits" with coordinating scraps. 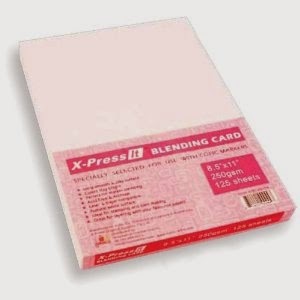 Then I just brought card stocks to match. That is how this card came to be. Thank you for stopping by and visiting please feel free to leave me a message. I love reading them! Today over at the "Through the Craft Room Door" the DT is being sponsored by "Di's Digi's" this week. These adorable digital images are found by Clicking HERE. Make sure to check them out and add a few to your digi collection. My card today was made for one of the most special ladies in the world, my mother. She will be celebrating her 75th birthday on June 16th and I made this card to remind her of the hedgehogs we use to have in our back yard in England when we lived there when I was little. There was a family of them and we remember the mother with baby hedgie's following her across the yard. I thought this card would bring back fond memories of that for my mom. 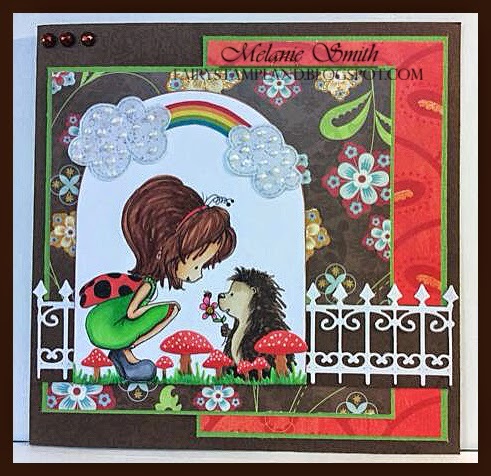 Materials used: Tiddly Inks image, Bazzill Cardstock, DCWV Designer Paper, CC Designs Mushroom Die, Spellbinders Fence Die, and Copic Markers in E000, E00, E04, E11, E13, E15, E17, E18, E21,E41, E43, E47, E49, G07, G09, YG13, C5, C7,C9, R24, R27, Y17. Gel pen, embossing powder, and liquid pearls were also used in the mushrooms and clouds.